Home Uncategories Would you like to own as many cars as Jerry Seinfeld? 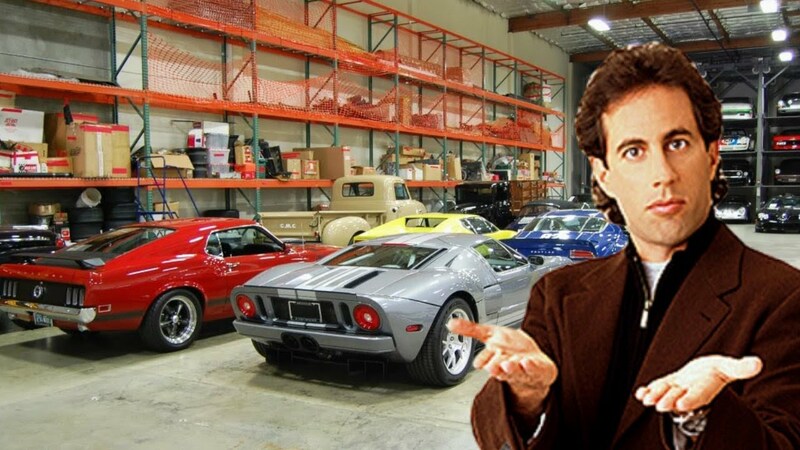 Would you like to own as many cars as Jerry Seinfeld? At one time, Jerry Seinfeld, perhaps the most successful comedian ever, owned 46 different models of Porsche, and perhaps more than a hundred other cars. He has since sold some of them in rare model auctions. Anyone who earns enough money to be able to afford it eventually owns multiple cars. That is now a socially accepted and recognised form of a display of wealth. As Scott Galloway might say, it is also a good signal to potential mates that you are a 'catch'. Owning a car (and another car and another car) used to be aspirational for all classes and ages of people. It probably still is to many people, but the emergence of Uber and other ride-sharing services has begun to eat into the numbers that previously found this aspirational. A lot of people are starting to think that it is less of a hassle to rely on Uber and other ride sharing services than to own a car, and I'm one of those people. This is a trend that is highly likely to grow, especially with another disruptive entry to this market just around the corner, in the form of full autonomous self-driving cars. Which means that the number of cases in which we would prefer to have our own car rather than hailing a cab on our smartphone at the click of a button is growing smaller and smaller. But that doesn't mean it is non-existent. And I don't think it will ever go fully down to zero. It will always make a difference to drive your own car on a family road trip, or arrive in a classy car for your date. And this market is starting to be addressed too in the form of car rentals, where you can rent any car for a limited amount of time and return it once you are done. Every successful product company, even in this digital age, owns the contact with their customers. Which is why Apple has invested billions of dollars in building up Apple stores all across the world while they could have been selling their phones online. With everything that is happening in the auto industry, car manufacturers are beginning to lose touch with their customers. If you are using Uber to hail a cab, you don't give a damn what brand of car arrives to pick you up, at least not enough to demand that you be picked up in a Porsche. You might care a little more if you are renting a car from someone like Zoomcar, but you still have alternatives of several brands, which doesn't put the car manufacturer in a good place. If you can easily substitute a Porsche with a Nissan, that is not a good place to be for Porsche. So, the guys at Porsche seem to have put their heads together and come up with a solution. Which is to give everyone the opportunity to be Jerry Seinfeld, despite them not being nearly as rich as the comedian. Late last year, Porsche introduced Porsche passport in Atlanta. This is a subscription model like Netflix where you pay $2000 a month to Porsche. And in return, you own every car that Porsche has to offer. With the click of a button on your smartphone, you can ask for any Porsche model to be delivered to your home with a tank full of gas, and use it for as long as you like and return it whenever you like. This removes the hassle of maintenance, updates, servicing and all the time and costs associated with it. This removes the problem of being stuck with the same model for a few years. And it brings in the smoothness of using an Uber or Zoomcar. And most importantly, it keeps Porsche in direct control of distribution to its customers. And it separates the Porsche brand from every other car manufacturer out there. To me, this seems like a brilliant strategy in response to the developments in the auto industry, and one worth emulating by every other car manufacturer out there, irrespective of whether they put out luxury models or the budget kind. And it is also a strategy that several other product manufacturers can emulate, like phone manufacturers, for example. If Oneplus offered me this model, I'd take it in a jiffy. Do you think this is something you can emulate in your own industry? And more importantly, would you like to own as many cars as Jerry Seinfeld?